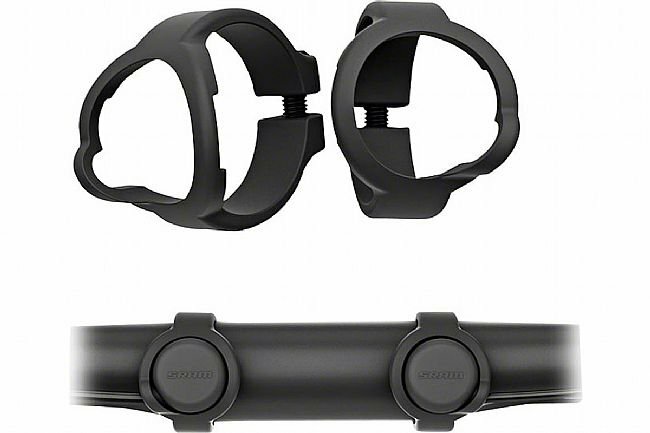 SRAM RED® eTap Blip™ Shifter Clamps (31.8mm) securely mount to 31.8mm drop handlebars outside of the tape zone for use with SRAM’s eTap Blip™ remote shifting system. These mounts come as a pair and are right and left specific. Recommended Group: SRAM RED® eTap. I didn't want to put the blips under tape and these hold them down nicely just left and right of the stem for seated climbing on the top of the handlebars. Easy to install, easy access to blips holds them in place.